it is the client who suffers. Due to his strong commitment to professional ethics, Stewart Andrew Sutton represents clients in legal malpractice cases against their former civil attorneys as well as fee dispute cases. 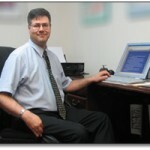 He has obtained numerous settlements and judgments for his clients throughout Maryland. Stewart Andrew Sutton’s success rate in obtaining a recovery in legal malpractice cases and a reduction in the amount owed or reimbursement in fee dispute cases is 100%. The purpose of this website is two-fold. First, it informs Maryland consumers on how to protect themselves from unethical and unscrupulous attorneys. Secondly, the website educates Maryland attorneys on how to comply with their professional obligations. Missing a filing deadline, which results in the dismissal of the client’s case. Providing erroneous or incompetent legal advice, which causes the client to suffer financial harm. Not informing the client that he has a professional or personal conflict of interest. Advising a client to a reject a favorable settlement offer, when the attorney should have known that the client would lose at trial. Advising a client to accept an inadequate settlement offer, because the attorney has not prepared for trial. Concealing material matters from the client during litigation, which if the client had known the truth about would have caused the client to have acted in a different way, such as settling the case or terminating the attorney. An attorney’s malpractice is sometimes obvious, such as when a client’s case is dismissed for missing a filing deadline. Other times, the client may not discover the attorney’s legal malpractice until years later. In Maryland, a client has 3-year from the time he or she discovered or should have discovered the attorney’s malpractice to file a malpractice lawsuit. For example, Stewart A. Sutton represented a client whose divorce attorney caused her to believe that he had taken all the necessary steps for her to receive half of her husband’s retirement account pursuant to the parties’ separation agreement. The client discovered years later that her divorce attorney had failed to prepare the proper Order to divide her husband’s retirement account; and Stewart A. Sutton obtained a settlement from the divorce attorney for the full amount of the retirement benefits that the client had lost. When an attorney commits malpractice, the client is entitled to recover some or all attorney’s fees that he or she had has paid to the lawyer. In a legal malpractice case, the client may recover all monetary damages that were proximately caused by the attorney’s legal malpractice. For example, Stewart Andrew Sutton represented a client whose breach of contract claim against his health insurance provider was dismissed as a result of the attorney’s failure to file the lawsuit prior to the expiration of the statute of limitations. The client’s economic or monetary damages against the attorney was the amount that the client would have recovered against his health insurance provider. In many cases, the client is entitled to compensation for his or her emotional or mental distress caused by the attorney’s legal malpractice. Stewart Andrew Sutton once represented spouses who had retained a bankruptcy attorney to save their home from foreclosure, but they instead lost their home as a result of the bankruptcy attorney’s malpractice. The clients suffered emotional or mental distress from the dispiriting change in their living situation from being homeowners to being homeless. A Montgomery County jury awarded $100,000 in emotional distress damages to Stewart A. Sutton’s clients. A client does not need to seek treatment from a psychotherapist to recover mental or emotional distress damages. It is sufficient that the client testify that his or her mental or emotional distress has been manifested with physical symptoms, such as depression, sleeplessness, weight loss, etc. An attorney is subject to punitive damages when the attorney intentionally misrepresents a material fact to his client or fails to disclose material fact to his or her client. An attorney has an professional and contractual duty to keep his or her client reasonably informed of the status of the case and to disclose all material facts to the client. Stewart A. Sutton has represented many clients who have sued their former attorneys for either intentional misrepresentation and/or fraudulent concealment. In one such case, the client was awarded $100,000 in punitive damages, because the former attorney had intentionally misrepresented that he had filed a lawsuit on behalf of the client when in fact a lawsuit had never been filed. An attorney who commits fraud may be subject to criminal prosecution. Stewart A. Sutton was a key witness against a Maryland bankruptcy attorney, who pled guilty and was incarcerated for filing a fraudulent bankruptcy petition. In most legal malpractice cases, another lawyer will be retained as an expert witness to testify that the client’s former attorney breached the standard of care. The expert witness will review client’s file and then render a professional opinion that the former attorney committed legal malpractice. In some legal malpractice cases, an attorney’s malpractice is so obvious that an expert witness is not necessary. For example, it is within the common knowledge of laymen that an attorney has breached the standard of care when the attorney misses a filing deadline, which causes the dismissal of the client’s case. When a client has been deprived of the opportunity to proceed to trial as a result of the attorney’s malpractice, the client will need to prove the amount of damages that he or she would have been awarded had his or her underlying case had gone to trial. For example, if the client’s personal injury case arising from an automobile accident is dismissed due to the attorney’s malpractice, the client will need to present his personal injury case during the legal malpractice trial. This is known as a “trial within a trial”. In legal malpractice cases, the parties usually agree to private mediation before a retired judge or well-respected attorney. The neutral mediator assists the parties in reaching a mutually beneficial settlement. In the course of his career, Stewart A. Sutton has attended hundreds of mediations with his clients. More often than not, the mediation results in the settlement of the case. Almost all settlement agreements contain a confidentiality clause, which prohibits the client and Stewart A. Sutton from publicizing the nature of the legal malpractice case and the terms of the settlement. Stewart A. Sutton has successfully represented clients who have sued some of most renown and most notorious attorneys in Maryland. In the event that the parties are unable to reach a settlement, the legal malpractice case will proceed to trial before a six person jury. Stewart A. Sutton has never lost a legal malpractice trial.